Positioned on the Deccan Plateau, metropolitan city Hyderabad is at a good height of about 1607 feet above sea level. The majority of the region is filled up with rocky landscape and some parts you can notice gigantic hills. Yet in the midst of all the rocky territory lie several lovely lakes that provide relief and quench the thirst of its residents. 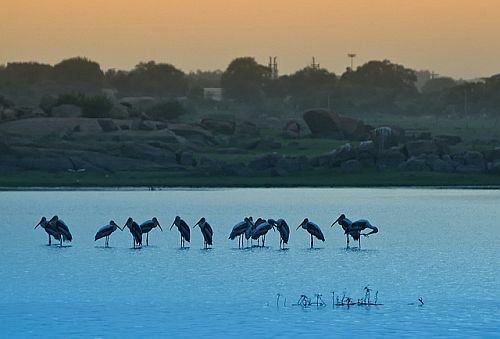 Hyderabad City of Lakes – A Dry Reality? Growing urban habitats may have encroached upon their space, lakes may be shrinking in number and size, but there are still a few lovely water spots that locals and tourists throng to. This lake is the most famous one with a history that dates back to 1562 A.D. As per the historical records, Hussain Shah Wali found it during the reign King Ibrahim Quli Qutb Shah. 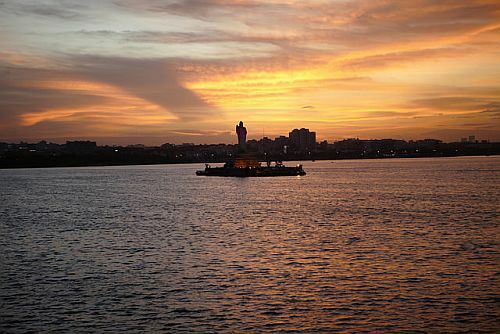 Today the promenade by the lake popularity called the Tank Bund is one of the busiest main roads in Hyderabad. You can notice statues of celebrities and historical figures from the state. A serene Buddha statue in the middle of the lake stands witness to the evolution of the city from a cool ‘chalta hai’ small town to one that is emerging as a technology, outsourcing and an entertainment hub. 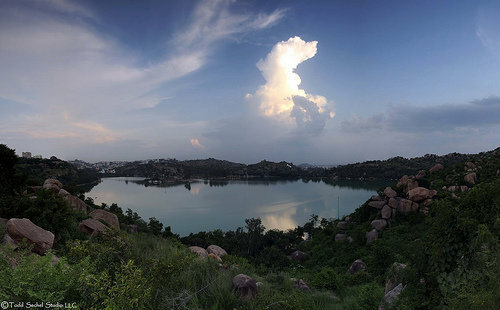 The secret lake otherwise known as Durgam Cheruvu is located near Shilparamam Crafts Village (sign of tradition) and Hitec City (sign of digital age) after the posh Jubilee Hills. Starting from the day one of its development, Durgam Cheruvu has been attracting thousands of visitors. The AP Tourism Department has implemented boating in the lake. This is really a marvellous experience enjoying the nature in midst of busy lifestyle. 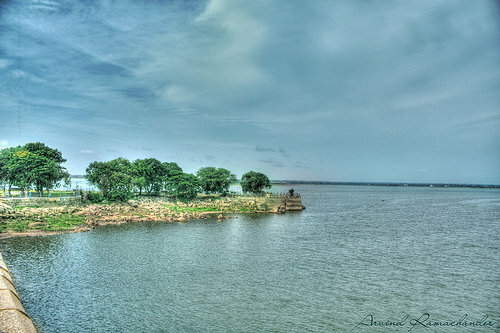 Osman Sagar or Gandipet as it is popularly called is one among the two main sources of water supply in this metropolitan city. Though it is far away from the city (20 km distant), Osman Sagar is a big lake shaped on the River Musi. Mir Osman Ali Khan who is the seventh Nizam of Hyderabad state has built this extraordinary reservoir after the devastating floods of 1908. It was an excellent planning by Mokshagundam Visweswarayya to satisfy the need for water in Hyderabad. Geographically, Gandipet Lake has stretched over 46 square km covering eco gardens with a lavish swimming pool. The public has made it as a picnic spot to enjoy the weekends. 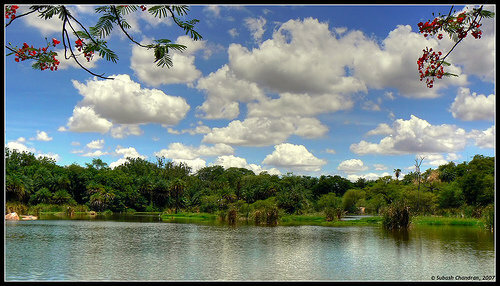 This large lake is close to Nehru Zoo Park which is another star attraction of Hyderabad. Here, you will have to pass through the zoo so as to enjoy boating at Mir Alam Tank. Shamirpet area is sited to the north of Secunderabad city. The place is known for its serene deer park and a gorgeous lake. The beautiful environment in and around Shamirpet makes it a good place for the picnic. Even the Government of Andhra Pradesh (now Telangana) has provided accommodation facilities through its tourism department. The road to Shamirpet itself is of interest, offering motorists several watering holes for lovers of Bacchus and dhabas for foodies. Hope the state government makes a concrete plan to protect and rejuvenate Hyderabad lakes. Though there are many lake protection committees but are toothless. The Government should dig out maps to protect them by plantation and fencing them to prevent encroachment.